When on a cycling trip in Spain I did what any self-respecting photographer would and took a trip round a flea market to seek out any bargains. One stall caught my eye as it held a selection of vintage cameras, most notably a 1950’s Bakelite Kodak Brownie 127. Anyone as old as me remembers their parents or grandparents owning a Brownie. 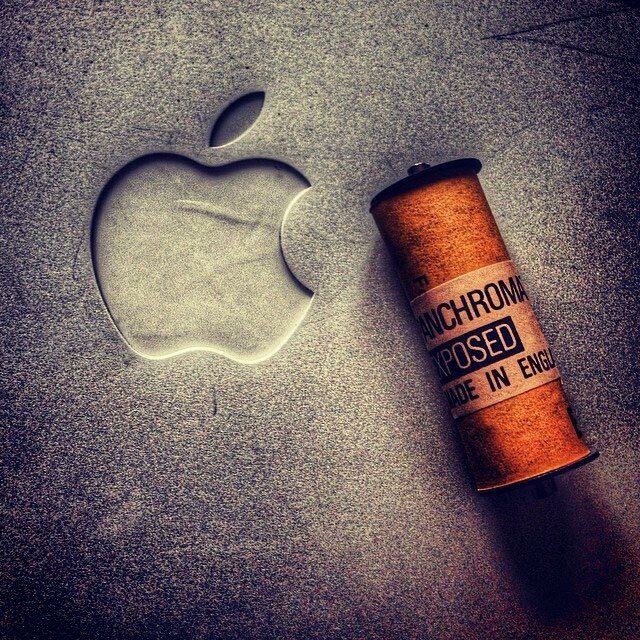 It was so slick and classy when it first hit the shops, with its hard shell finish and its canvas case. 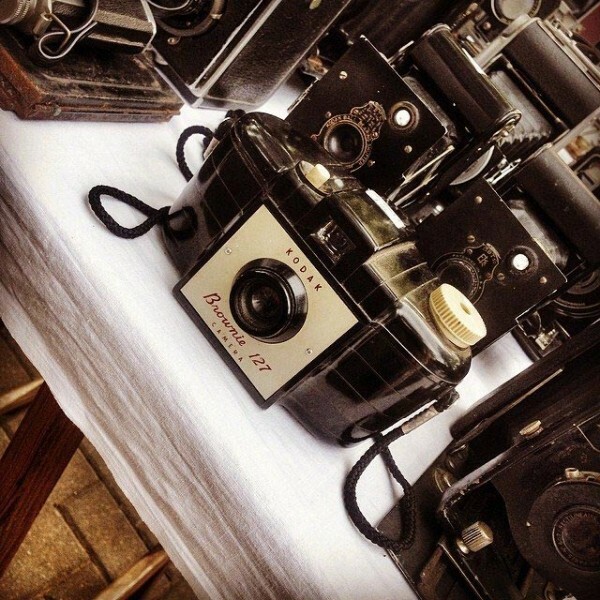 It boasted an easy functionality as it made it simple to insert films in seconds, (the films of course were made by Kodak too). I had a pang of nostalgia when looking at this well-kept edition but it was the addition of a roll of shot film inside that really caught my attention. Wouldn’t it be cool to get a glimpse of Spain through another photographer’s eyes almost fifty years ago? As we brought the camera home and carried on with daily shooting life we speculated over the contents. We asked you for your opinions and were trying not to anticipate too much as the film was developed. After all these years, if was probably fogged. The photos could have been anything, from a wedding, to a holiday to landscape shots or new baby pics. What we didn’t expect was photos that could have been taken by me in a previous life. The owner of the Kodak obviously loved taking pictures of vehicles, most notably this Triumph Herald 1200 circa 1965 that is sadly no longer in existence. 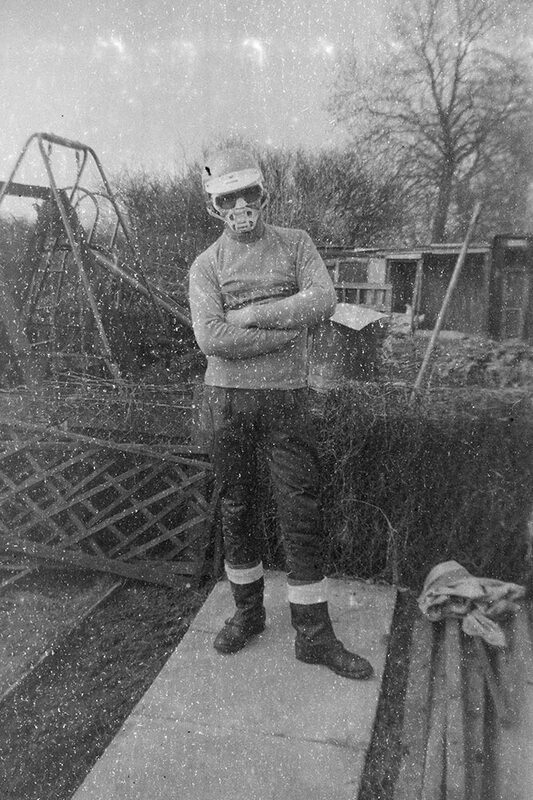 He also loved a touch of dirt bike riding and most bizarre of all, it look as if he lived in sunny old England. We’re yet to discover where the shots were taken but we’re not going to stop digging, obviously the vehicles are UK made, but imagine if he lived just around the corner? 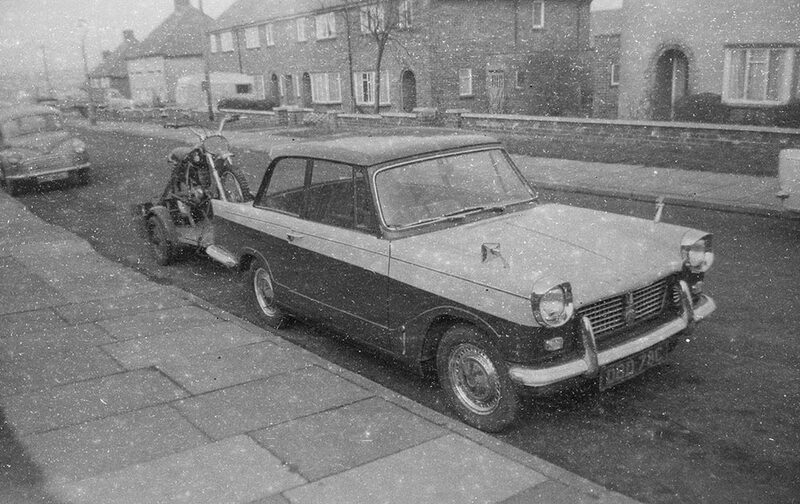 The mystery owner of the Triumph Herald & Greeves motorcycle? Did You Earn Any Brownie Points? Where you right about the pictures? 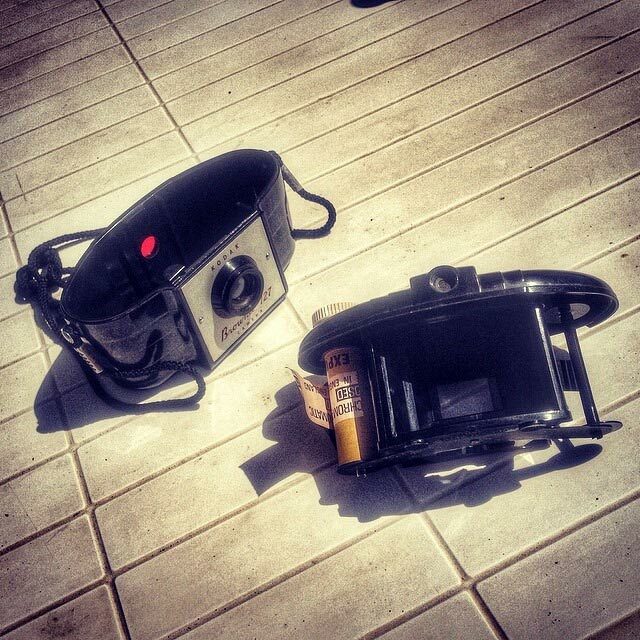 Did you guess the contents of the Kodak film? If you were we could do with a little more insight. How did the camera end up in Spain? Was it stolen on holiday or simply left behind? Where has it been in those decades where the film sat gathering dust and how did it find itself in the hands of a person who shared the same passion? If we were going to go a little spiritual we’d also ask why? Do you recognise the man, the streets, the bike, the car or the background? 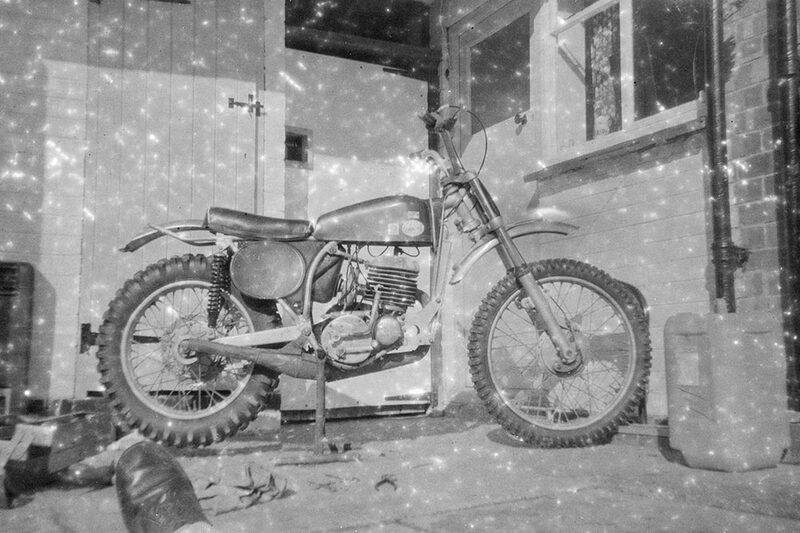 If you do please get in touch – help solve the mystery and hopefully reunite the images with their owner. 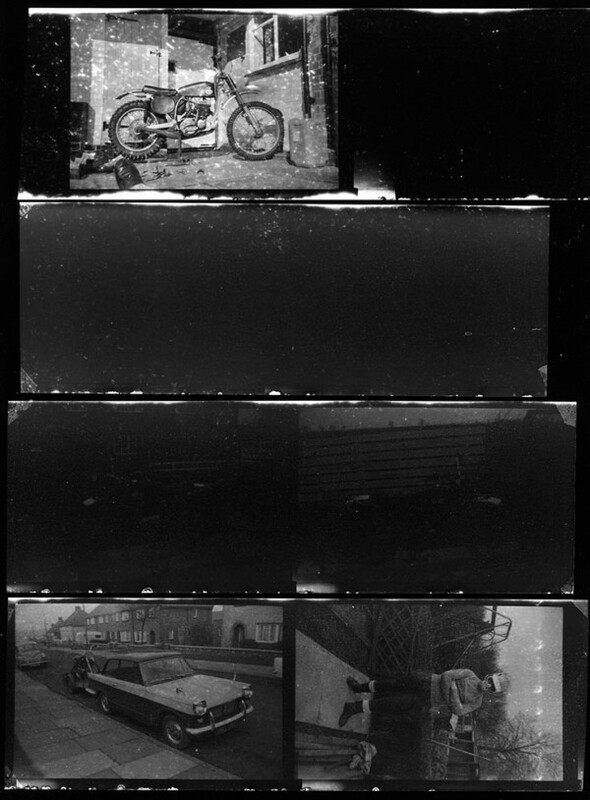 The contact sheet produced from the processed roll of negatives. Share using the social media icons below & see if we can find out anything about the mystery rider – thanks!